There has been rumors Cisco did this during a beta test in August, but there was no verification. I am just wondering what the Pearson RTP location means for the lab being offered right at Cisco’s offices in RTP, or if this is just a few times per year event. 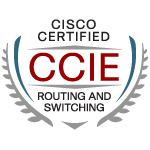 Register now to take a Cisco CCIE exam being offered during April 2010 at 20 Pearson VUE Professional Test Centers around the world. Seating is limited and is on a first-come, first-served basis—please register today online or call the Pearson VUE Customer Service line at 877-404-EXAM / 877-404-3926 (Monday–Friday, 7:00 a.m.–7:00 p.m. CT). Today I really wanted to write a deeply technical post (for example, Joe Cozzupoli sent me working configs for QPPB in Inter-AS MPLS VPN environment), but a gem from the SearchNetworking site caught my undistracted attention: they claim the licensing changes introduced in IOS release 15.0 target illicit use of Cisco IOS by Dynamips. The story quotes two of my blogger friends: Stretch and Greg (congratulations to both !!!). Each of them makes very valid points (I am wholeheartedly supporting Stretch’s plea for educational licenses), but somehow the story’s author managed to mix ingredients from their stories to come to a sensational (and totally wrong) conclusion (with a great headline).